Special prices in the summer period. Come and enjoy the beautiful nature, take a game of mini-golf or relax in the salt water pool – this is danish HYGGE! Centrally situated in the middle of Zealand you will have the possiblity to visit the fine attractions around Sørup Herregaard. You can see a few examples here. The offers below are valid June 28th until August 10th 2019. 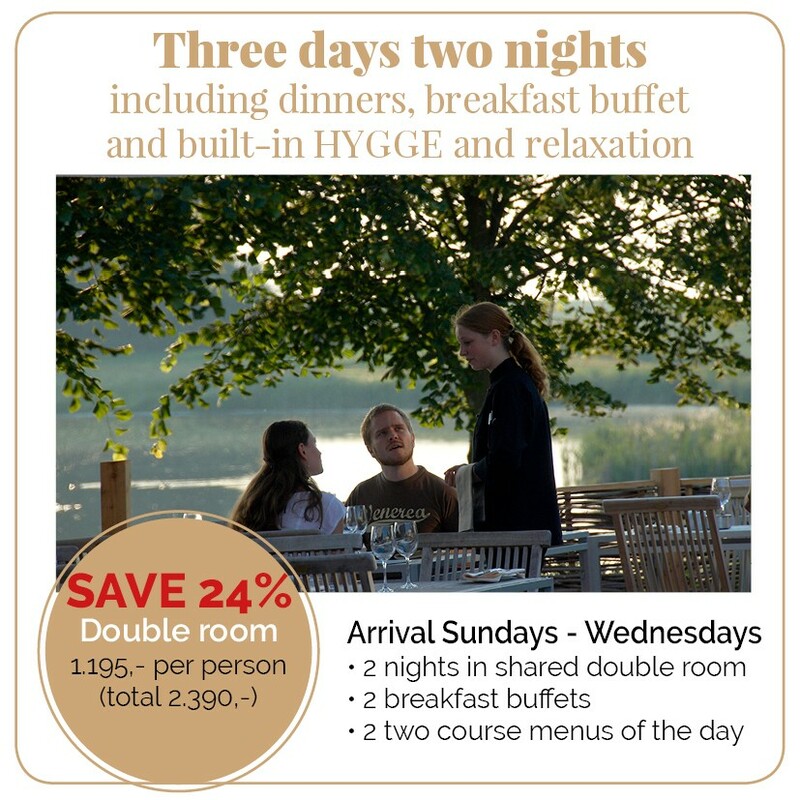 A two night stay including dinners, breakfast and built-in HYGGE and relaxation. Only DKK 1.195,- per person, in total DKK 2.390,- for two persons in a shared double room. 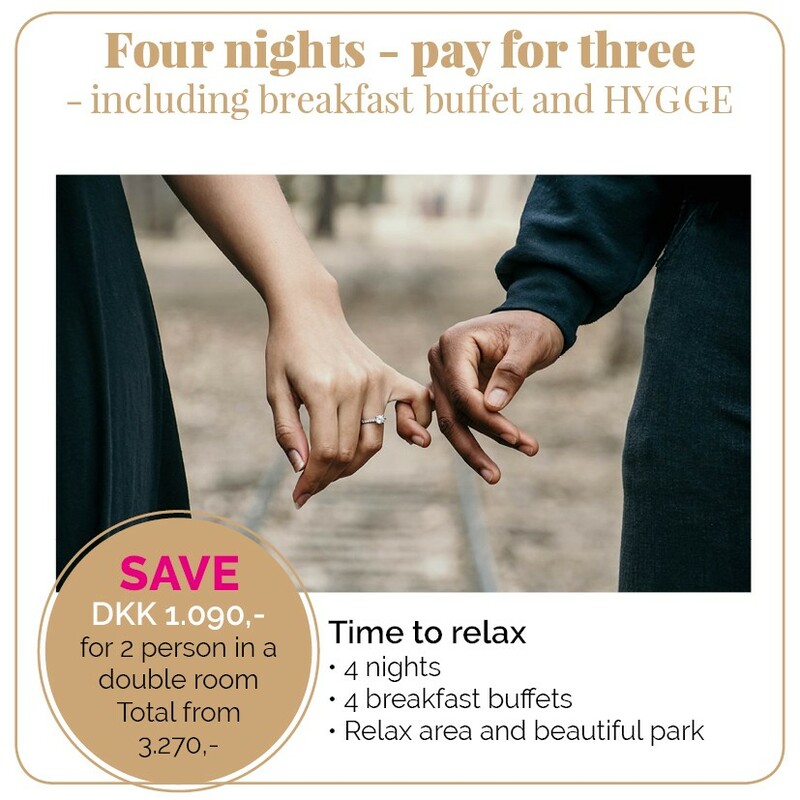 in total only DKK 3.270 – you save DKK 1.090,- !